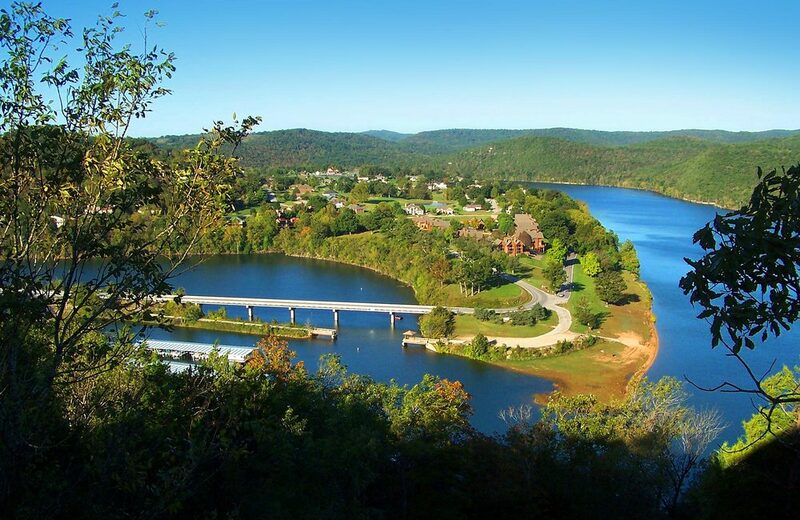 A haven for boating, swimming and fishing in the Ozark Mountains, covers roughly 50,000 acres and 800 miles of shoreline. Table Rock Lake winds its way through the Ozark Mountains from Eureka Springs, Arkansas to Branson, Missouri. An offshoot of the White River and fed by flow from Beaver Dam, the cool waters and stunning shorelines of Table Rock Lake offer the outdoor enthusiast opportunities for exceptional boating, swimming, sunbathing, camping and fishing. This is why Table Rock Lake is consistently ranked among the top bass fishing lakes in the nation! You can access Table Rock Lake's tranquil waters from Holiday Island's convenient marina and boat launch. Rent a ski boat, pontoon boat, Jet Ski, canoe, paddleboat, or kayak from our marina, and enjoy!